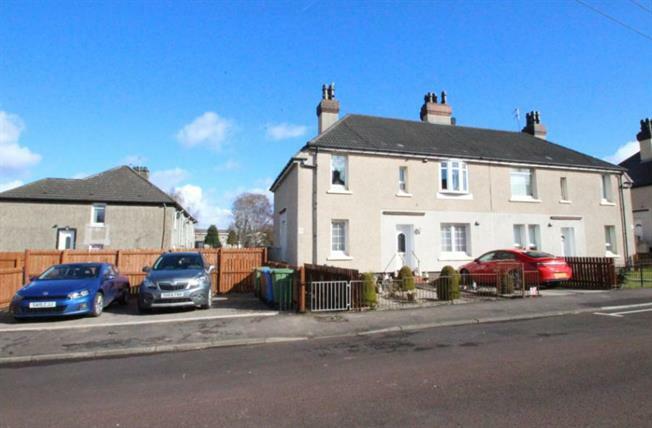 2 Bedroom Upper Floor Flat For Sale in Glasgow for Offers Over £72,500. Externally upgraded and internally improved upper cottage flat offering ideal accommodation for today's first time buyers and young families alike, set within this popular village setting. The property offers entrance hallway, lounge, fully fitted kitchen, two bedrooms and bathroom with shower. The property benefits from Upvc double glazing, gas central heating, garden grounds to both the side and rear of the property, on street parking facilities to front of property boasted by large twin car paved driveway.